For nearly two years I’ve been involved in a series of hobby translation projects, which I’d estimate to be at least 50 chapters and several hundreds of pages. 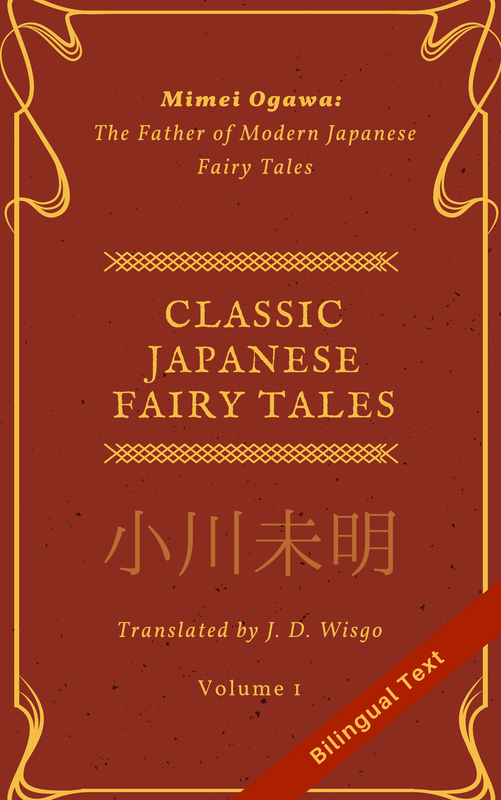 My purpose for these was to improve my Japanese translation abilities on a variety of authors and genres, and I have been very satisfied with what I’ve learned. One of my personal goals from the beginning of the year was to get something formally published, but so far I haven’t really much progress directly towards that, though I’ve had it in the back of my mind. In addition, in recent weeks, after finishing a few translation projects I found myself struggling to find another that was a perfect fit to continue my development as a translator. So when stumbled upon a certain Japanese author who had extremely interesting fiction stories and, in my opinion, sorely deserved to be translated into English, I knew this was the right project for me. While all of the works I’ve translated so far have been rewarding and enjoyable in their own way, I feel that the prospect of translating this newly found author has a new level of significance to me. This is partially because the author has been published in Japanese, and because I’m planning on publishing my English translations of one or more of his works. Before I got too involved, I got legal permission from the right people to translate and publish one or more of his works. However, I haven’t decided on a publisher yet; I may try to see if anyone is interested at some point, but I am fine falling back on self-publishing for the conveniences and opportunities it offers. My minimum goal is an e-book, but a physical paper edition will be a really nice stretch goal. My goal in this effort is to get published, not make money, although I will probably set a low price as a first step in the direction of eventually making a revenue stream. But if I can publish something that I can take great pride in, it will be success enough. Fortunately, because of my translation projects over the last two years, I have some level of confidence that I can produce a good result, although I’ll be trying to improve the quality even more to approach the level I feel a published book deserves. Having said that, I think the biggest challenge will be deciding which stories to include, and the design of the rest of book (cover, layout, etc. ), while balancing everything against time constraints (mostly 2-3 hours a night, if that). Rather than deciding how long the collection will be now, I’m aiming to have something ready to publish in 2-3 months and will see how many stories I can fit. I’ve just finished the initial rough translation for one of the stories that turned out to be around 6000 words and took a little over a week. If I can get the editing done in the next 2-3 weeks, I think this will be a reasonable pace. In the coming days, I’ll be thinking more about asking for help with things such as beta readers and possibly editing and book design. If you are interested in helping, feel free to drop me a line at “selftaughtjapanese [at] gmail.com”. In order for me to get enough content done, I’ll be putting a hold on my other translation projects for the time being, as well as reducing the number of articles I post on this blog. But if you are interested in more details about my progress on this new project, let me know. Update: The book was published! See the release post here, or just check it out on Amazon. This sounds like great news and a really exciting project! I hope everything goes well for you throughout the publishing process.